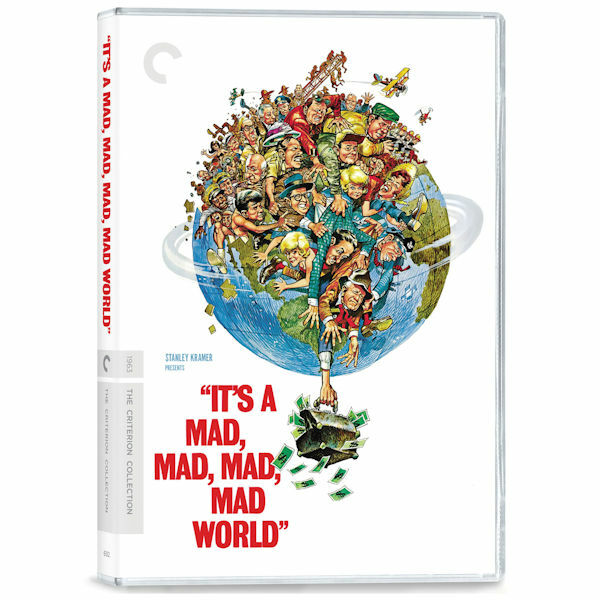 The most grandly harebrained movie ever made, Stanley Kramer's 1963 classic gets the loving care it deserves in this Criterion release. The jaw-dropping cast including Milton Berle, Sid Caesar, Ethel Merman, Mickey Rooney, Spencer Tracy, Jonathan Winters and many more. Reissue features a restored 4K digital transfer of the general release, a high-def digital transfer of a 197-min. extended version, and many extras. 3 hrs, 3 DVDs or 2 Blu ray discs.